York University is committed to good governance, fiscal responsibility and transparency. 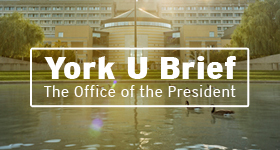 As part of York’s commitment to these important principles, the University will regularly disclose the travel and hospitality expenses that have been reimbursed in respect of the President’s official duties. 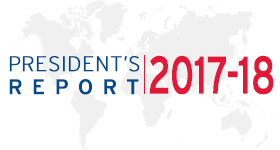 The President’s expenses are approved by the Chair of the Board of Governors of the University and are also subject to the review by the University’s Internal Audit Department. York’s policies and procedures with respect to the reimbursement of expenses are in compliance with the Broader Public Sector Expenses Directive issued by the Ontario Provincial Government.